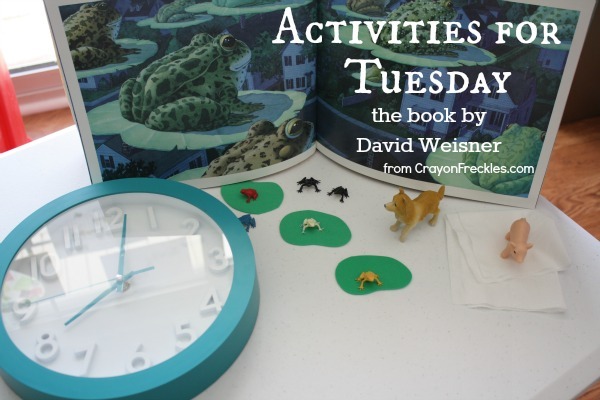 the book Tuesday by David Weisner is one of our favorite books. what makes it so great for children is that there are only a few words at the beginning and the end of the book. and the only function of those words is to set the stage for what time it is. Do the lily pads float? Will the frogs float if they're on the lily pads? 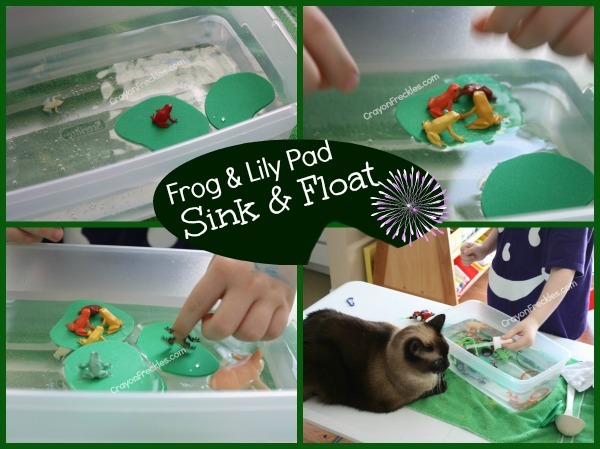 How many frogs can you fit on one lily pad before it sinks? 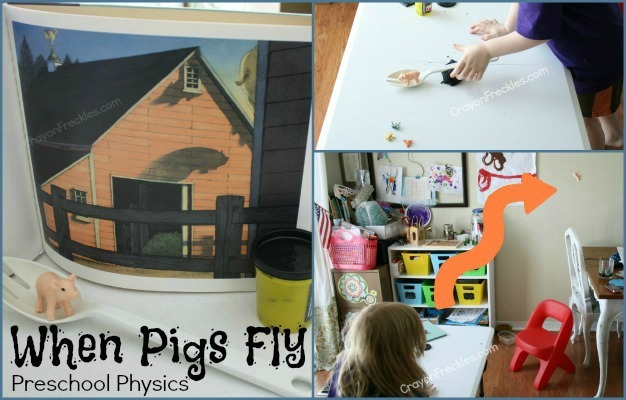 the fun image at the end gave us inspiration to try and make a pig actually "fly". so we used the same setup that we did for our playdough catapult. but instead of a playdough ball, we used a little plastic pig. boy did that thing fly! 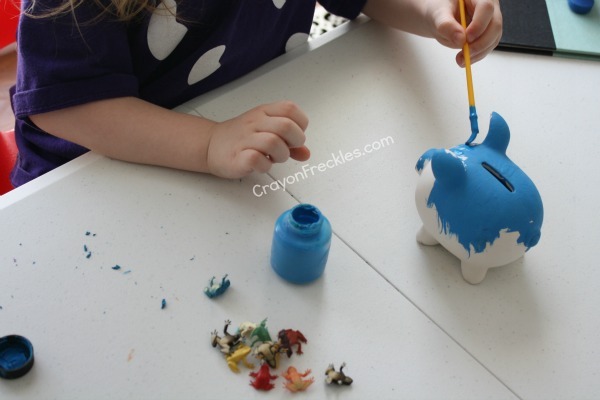 at the end of the book there are pigs, so painting a piggy bank seemed like a good fit. of course, the frogs supervised. talk about the units of time. 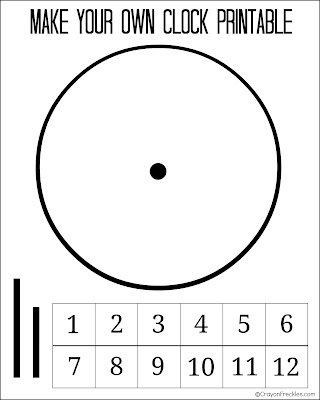 you can use this free printable below to do an activity. 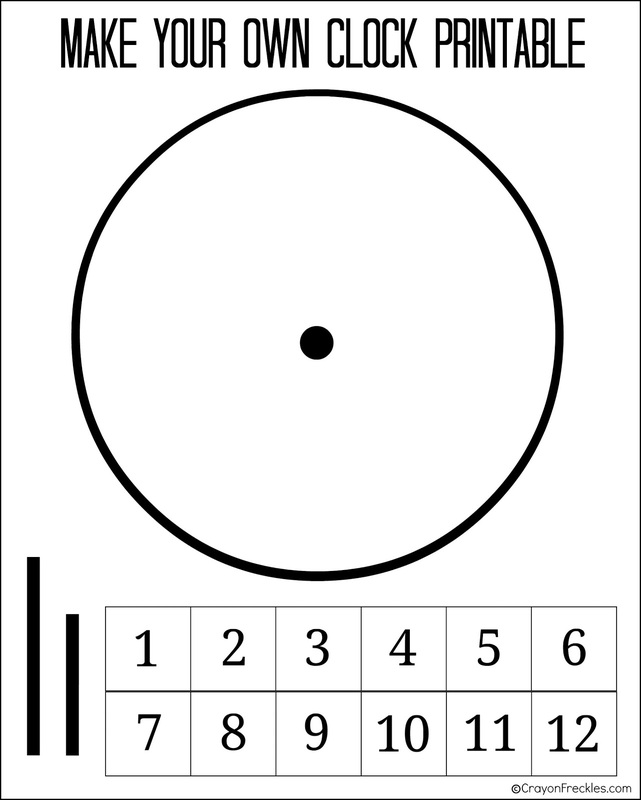 to save, right click on image and click "save as"